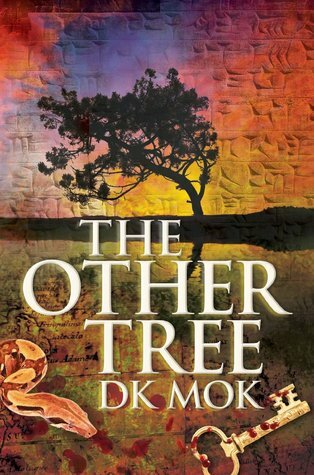 Today I have a review for The Other Tree by D. K. Mok as part of her blog tour thanks to Spence City! For Chris, the problem isn’t the fact that they’re searching for the Biblical Tree of Life. Nor is it the fact that most of the individuals on the expedition seem to be fashionably lethal mercenaries. The problem is that the mission is being backed by SinaCorp, the corporation responsible for a similar, failed expedition on which her mother died eleven years ago. However, when Chris’s father is unexpectedly diagnosed with inoperable cancer, Chris sees only one solution. Vowing to find the Tree of Life before SinaCorp’s mercenaries, Chris recruits Luke, an antisocial campus priest undergoing a crisis of faith. Together, they embark on a desperate race to find Eden. However, as the hunt intensifies, Chris discovers growing evidence of her mother’s strange behaviour before her death, and she begins to realise that SinaCorp isn’t the only one with secrets they want to stay buried. The Other Tree is a story that is clever, secretive, and mysterious. It is about two regular people trying to do something extraordinary, driven by determination and personal motives, all the while having a dangerous enemy biting at their heels who is also after the same prize: the Tree of Life. Both parties are after the Tree for very different reasons and we watch as Chris and Luke race against SinaCorp to decipher ancient texts and solve riddles to find the location of the other mystical tree from the Garden of Eden. 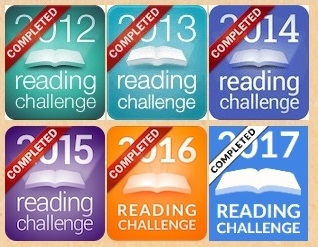 One of my weaknesses in reading is being given questions early on that don’t get answered; it will pretty much guarantee I will keep reading just to find out the answer, and find out why I wasn’t told the answer at the time. Mok implements this technique from the start. Asking questions at the beginning of a story that go unanswered for a little bit gets you interested and it keeps you reading because even if nothing has actually happened yet plot wise, you still are left with a question that is dangling in front of you. You want to know why this character thought that the perfect stranger standing in a courtyard was peculiar even if you know nothing else. Admittedly even with these questions the story started off slowly but it was not without some interest. It picks up in the middle and as the story progressed it gradually became more engaging, as all good adventure stories should. This has been catagorised as a fantasy but surprisingly I kept thinking of it not just as an adventure style story, but one that actually seemed quite realistic. I know that sounds strange considering it is a story about the hunt for the Tree of Life and the Garden of Eden, but so much of this novel made me happy because it played out like reality would. Chris and Luke are not professionals, they aren’t even part of an organisation, they are a botanist and a priest trying to beat a massive corporation, a corporation who have access to the latest technologies, unlimited funding, and specially trained mercenaries, and Mok doesn’t forget that. It’s slowness in part makes it realistic, being untrained and slightly unskilled, the way Chris and Luke tackle the adventure is believable, as another character mentions, they keep stopping regularly for food, they also sleep in motels, have to drive long distances and catch commercial flights to other countries. There is no fast solution, and how they gain their information differs from SinaCorp because it cannot just be bought or analysed with equipment. However, being unskilled doesn’t make them unprepared and a lot of their own unique skills come in handy during their search. Another great part of the story is the relationship between Chris and Luke. Their friendship is enjoyable and as a result makes the story enjoyable to read. The realism in their relationship becomes more profound as the book continues and the banter, dialogue and support between them are what make it special; it’s natural and reflects how people behave with one another. This realism is also shown with other character relationships. While Chris often jokes to herself about making grand declarations liked heroes do against their foe, she knows it doesn’t happen in reality and while you are making sweeping statements they will most likely turn and shoot you without a second thought. People get hurt, money buys power, and there isn’t always justice. This doesn’t mean there is no fun in this book. There is a lot of great humour, jokes between friends, great banter between characters and a great mix of sarcasm and fear that makes for an interesting read. Throughout this story Mok balances the seriousness, humour, religion, mystery, and adventure elements perfectly meaning each aspect is evident at the appropriate time and nothing is too overbearing. Mok also includes some great profound statements, not just by characters but also in the narrative, each time never feeling out of place or unwelcome, and offering that serious nature amongst what could be mistaken as a jovial quest in parts. I am not a religious person, I don’t know much about it and what I do know comes from multiple and various pop culture references and general exposure that occurs from daily life. Having said that, I liked the approach Mok takes with this story and how religion is dealt with. And while it does centre on these religious elements, The Other Tree is more action based story involving religion rather than solely an in-depth religious analysis in itself. What religious aspects that are present are presented in a way that is respectful yet basic, while also being realistic, well placed, and properly used. This presentation is helped a lot by the characters, something that not only brought out the story and the themes really well, but got you to know who these characters were. Both Chris and Luke are people with something in their past and through their ordeal we slowly see this come to light and see them face what they have been hiding from and who they are a people. But while they are a lot of the main focus, all of Mok’s characters are highly unique, and in their own way they are quite observant and profound, and many have secrets of their own. As you read, and as you see what each character does and what they think, you are able to gain a great sense of who they are as people, sometimes even a simple observation from a third party gives you invaluable insight into who they are and what drives them. With no spoilers I will say I liked the way Mok ends the book. While I had a few theories running on how it would pan out I think how it was concluded leaves you satisfied. Mok has rounded off this mass adventure and ordeal with respect not just to the characters, but to the reader; it is done without rushing, without being unrealistic for the reality it has created, and it also stays true to the characters and what we’ve come to expect from them. Overall The Other Tree is an adventurous and enjoyable story that gives you the unexpected, the unique, and the unusual all in an interesting story about faith, humanity, and botany. DK Mok lives in Sydney, Australia, and writes fantasy and science fiction novels and short stories. DK’s urban fantasy novel, The Other Tree, was released in 2014 by Spence City, and her short story ‘Morning Star‘ was shortlisted for an Aurealis Awards. DK’s new epic fantasy novel, Hunt for Valamon, is scheduled for release in January 2015 by Spence City. She’s fond of cephalopods, androids, global politics, rugged horizons, science and technology podcasts, and she wishes someone would build a labyrinthine library garden so she could hang out there. Her favourite fossil deposit is the Burgess Shale.